Kids will enjoy reigning in this colorful castle, which comes with rounded walls and four spires for added dimension. Features more than 200 square feet of jumping space, perfect for any sized event or party. 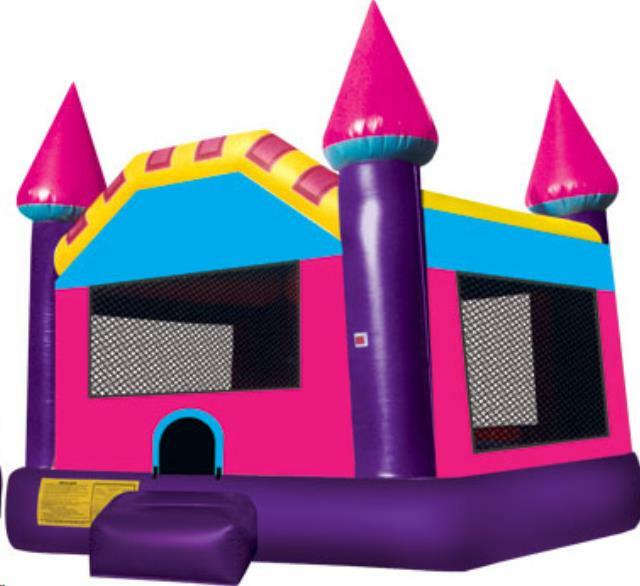 * Please call us for any questions on our fantasy castle bouncer rentals in Rocky Mount and Wilson NC.